Jingly bells, brightly wrapped gifts and the smell of roast turkey wafting through the family home…what’s not to love about Christmas? A surprising number of Australians actually find Christmas to be nothing but stressful. For many, mental health at Christmas is known to take a turn for the worse. And this darker side of Christmas is rarely, if ever, spoken about. The so-called “silly season” can heighten feelings of stress, anxiety, disappointment and even grief or depression. In addition, for people who battle with substance abuse issues, the holiday period can be a very testing time full of temptation. And we haven’t even mentioned financial pressures, family conflict or the other sleeping monsters that tend to rear their ugly heads when Santa comes a ‘knocking. So what to do if you or someone you love gets the December blues? It helps to first understand where Christmas-related anxiety comes from. 1 Why is Christmas a stressful time for so many? Why is Christmas a stressful time for so many? Christmas marks a deviation from our normal routine lives. Many of us take time off work, spend time with people who we haven’t seen in a while and have different responsibilities. But for some of us, life doesn’t change. Perhaps we don’t have anyone to really celebrate with. Or maybe we’re far away from those we love. This can be just as, if not more, difficult. This can make mental health at Christmas an issue. Last year, a Red Cross national survey found for nearly 1 in 4 Aussies, loneliness is a part of their lives. This tends to become even more apparent around festive times, during which the emphasis is normally on family and togetherness. Seeing everyone else around you celebrate in the community may make you feel excluded. Family get-togethers should be happy times, full of laughter and good cheer. Unfortunately, this is often far from the case. Reacquainting with split family members, distant relatives or nasty in-laws can put a strain on the big day. It doesn’t help, of course, that alcohol and long conversations are often thrown into the mix. Rifts and ill feelings can slowly simmer to the surface – or reach boiling point! For most families, you’d be hard-pressed to think of a time more soaked in festive liquor than Christmas. And it’s not just Christmas Day. The party often begins the week before and ends shortly after New Year’s. If you or anyone you’re celebrating with suffers from alcoholism or any other kind of substance abuse, the summer holiday period can be a heavy trigger. It’s unfortunate that during a time when we’re supposed to be relaxing with family and friends, we often find ourselves running around like mad trying to get things done at the last minute. Whether it’s another round of Christmas shopping, dinner groceries for the kids or decorations for the house – too much activity can cause the body and mind significant stress. Any significant financial outlays related to Christmas only worsen the burden. Our post-Christmas credit card was recently reported to have soared above $1600 per person, according to data from the Reserve Bank of Australia. According to the Australian Bureau of Statistics, one if five Australians aged 16-85 experience a mental illness in any year. Christmas time can expand feelings of mental unease, like anxiety and depression, due to its’ encouragement of being ‘merry.’ If mental health issues at Christmas are related to family-related trauma, being faced with the people involved can make Christmas day extra tough. 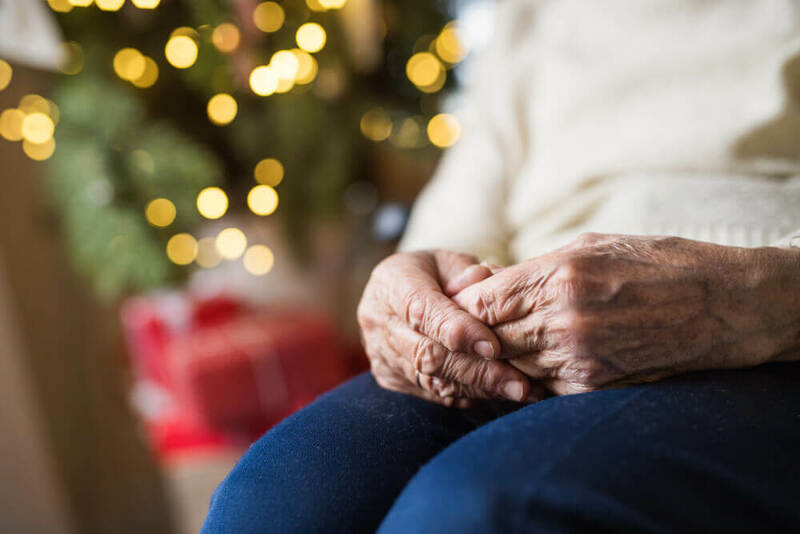 If you’ve lost a loved one, Christmas can also bring up painful emotions like grief, sadness or loss. Any of these emotions are likely to feel even stronger if you spent Christmas in the past with them. Whether you’re lonely or someone else is, the solution should always be to come together. Giving back to the community through volunteering at a soup kitchen or Christmas benefit will help absolve others’ feelings of loneliness as well as your own. Or you could attend another type of social or religious event. Find out if there any Christmas meetups happening in your area. After all, that’s what Christmas should really be about: connection. Prioritise what needs to be done and schedule it in to the coming weeks, with lots of free time in-between. Christmas is more likely to be a stressful time for you if you leave everything to the last minute. Another idea is to discuss roles and responsibilities with your family. Distribute and delegate tasks, so all the work is not left to just one person. Also, don’t forget about sneaking in a bit of ‘me’ time! Peaceful activities you can do to rejuvenate your mind, body and spirit are ideal at this time of year. Try walking, listening to music, treating yourself to a massage, meditation, a relaxing yoga class or even just a really good book. While giving is an awesome feeling, there’s only so much we can do (and buy) for our loved ones. Don’t go crazy with presents and indulgent foods in the lead-up to the big day – it’ll only pinch your wallet, expand your waistline and probably give you a blinding headache. Set a budget and brainstorm some simple ideas with your family or friends on how you want your Christmas to look. And remember: sometimes the simplest celebrations are the most memorable. Bread and butter pudding, cherry-glazed ham, garlic prawns, after-dinner mints…whatever your guilty pleasure is on the dining table this Christmas, be sure to indulge in moderation. It can be tempting to get caught up in the merriment, and overeat (and drink) with the crowd. But this is likely to only worsen your Christmas anxieties, and potentially even cause negative effects in the long-term. Our livers are not invincible! A great idea could be to toy with the idea of healthy Christmas recipes – how about fresh, grilled seafood? Or seasonal side salads? And remember to enjoy non-alcoholic beverages in between the naughty ones. Leaving stress unmanaged over a period of time can result in poor physical health, ill mental health and adrenal fatigue. Don’t allow you or a loved one to flounder in silence. Seek help from a doctor or a qualified mental health professional, or reach out to somebody you can trust and let them know how you’re feeling. The reverse applies. Let those in your life who are vulnerable know that they can count on you for support if you feel able to give it. Christmas needn’t be a hassle. When all’s said and done, it’s only a day and we make it what we want it to be. But if you’re still cringing at the sight of tinsel, know that you’re not alone. Lots of Aussies can get down at this time of year, and there are plenty of reasons why. Mental health at Christmas is an issue we shouldn’t ignore. Luckily, as we’ve explored, there are lots of measures we can take to make sure we’re looking after ourselves this silly season. So give them a go, and transform your end-of-year celebrations from a stressful mess to a holiday of fun. It’s also worth mentioning that social media can be a pesky place to hang out at this time of year. We need to remember that most people only post the “highlights” of their life. You’re unlikely to see the hangovers, the stress, the family conflict or the potential loneliness, so try not to compare yourself to others. Take some time out instead to focus on you and your loved ones. That’s, after all, what it’s all about.